Twitter: What Is A Hashtag? For Example: recently, I rode in the National MS Society bike race and the Hashtag # MS150 for the MS bike ride. 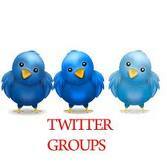 Hashtags, by definition, are used to create real time track records of creating groups on twitter. Placing the # sign in front of keywords or targeted groups, makes it easier to track all conversations in the twitter timeline via search. Hashtags were most notable during the San Diego forest fires in 2007 when Nate Ritter used the hashtag “#sandiegofire” to identify his updates related to the disaster. Some links to check out……. http://hashtags.org/ is the website to track real time Twitter Hashtags being invented/used. http://twitter.com/hashtags is the twitter account to follow in order to submit your new hashtags. Check out http://search.twitter.com/ you can do your searches for either a hashtag or keywords here and keep tabs on all the real time tweets. Notice the “trending topics” the vast majority is keywords with maybe a few hashtags thrown in the mix.